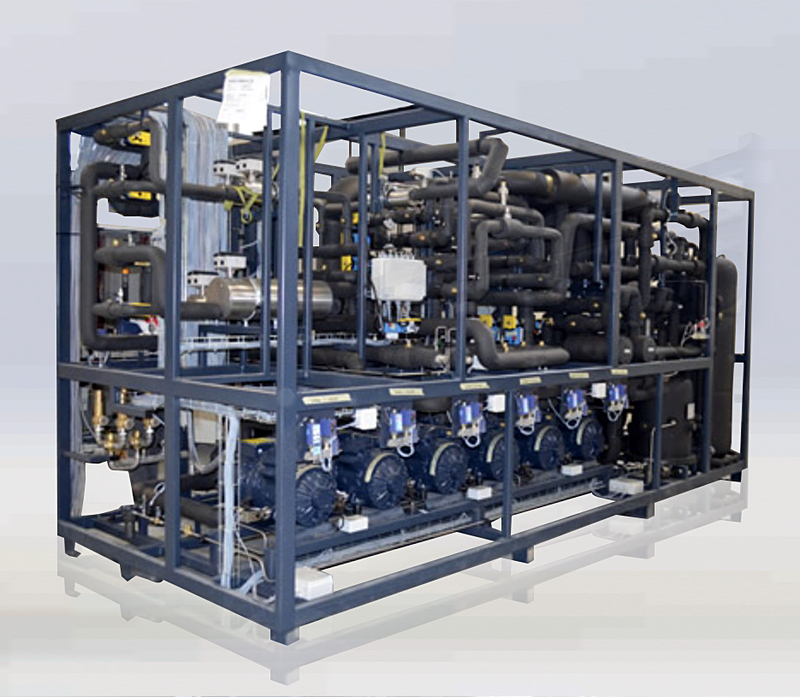 GREEN THERMAL ENERGY PROVIDES A RANGE OF PACKAGED CHILLERS BASED AROUND NATURAL REFRIGERANTS, THE ZERO C RANGE IS AVAILABLE WITH EITHER HYDROCARBON OR CO2 REFRIGERANT. The ZERO C family of cooling equipment provides efficiency and high performance with Natural Refrigerant technology. From 10kW to 2,000kW and with an operating temperature range from 7C to -30C leaving temperatures, the ZERO C range provides the latest refrigeration technology with cutting edge environmental and efficiency benefits. cladding for outdoor (for model YK100-YK450) while cladding is always included for other YK models. 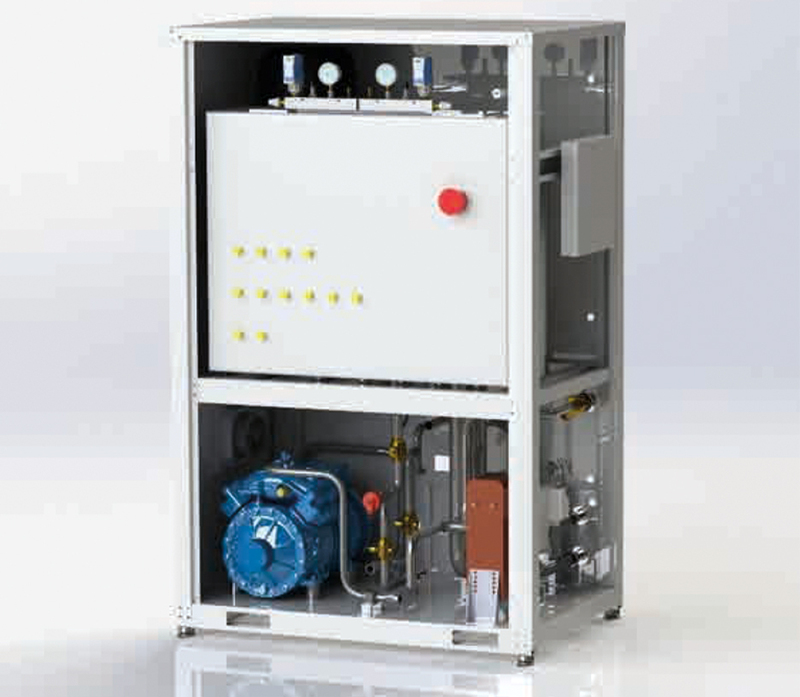 The water chiller, depending on cooling load request from AC system, generates “cold water”. The capacity of the water chiller, that is the amount of cold water produced, varies automatically increasing or decreasing compressors capacity. In a first mode of operation the heat is rejected normally to ambient air. A second mode of operation is used when hot water is required. 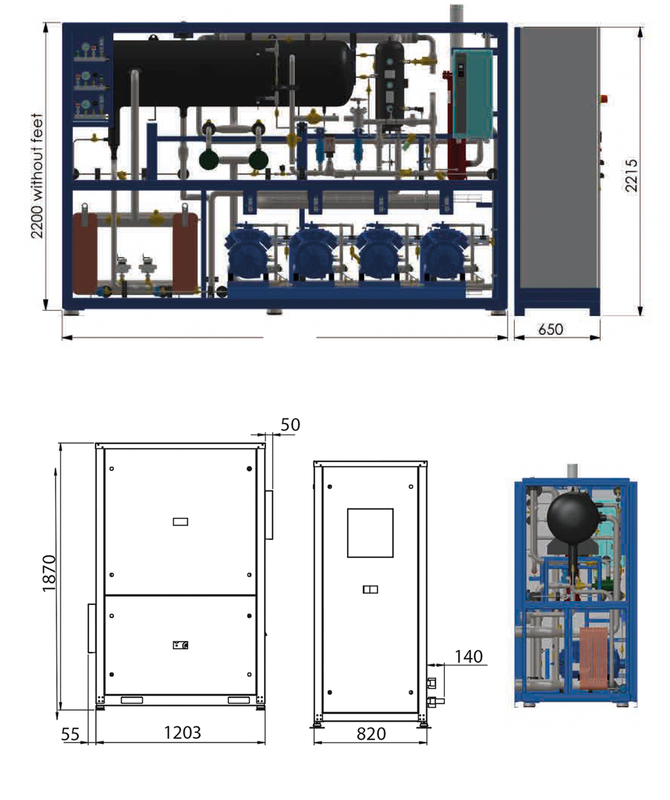 The 3-way valve is automatically reverted then all the available heat is transferred to water cylinder and the mass flow of refrigerant by-passes the gas cooler/condenser. A third mode of operation is “reheating “ of water in the cylinder: in that condition the “hot CO2” passes both through heat recovery heat exchanger and gas cooler/condenser. In this way it is possible to produce practically for free, hot water for sanitary use, at temperature up to 70°C. If – for example – the AC load is 100 kW the amount of heat rejected is approximatively 130 kW. 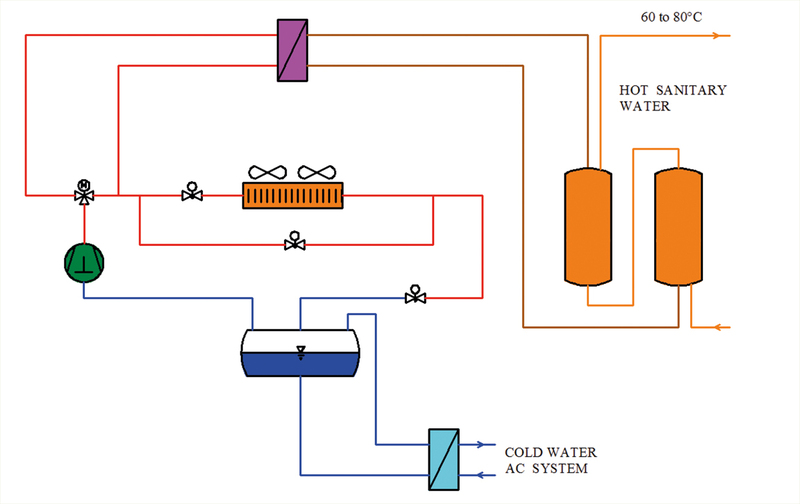 It is possible to use completely that large amount of heat for heating approx 2200 liters / hour of water from 20°to 70°C without affecting the efficiency of the chiller. The water cylinder and the water pumps are operated in such a way as to take full advantage of stratification of warm water. The “value” of the heat recovered is approx 5,0 € /hour assuming as a reference methane. A total operation time of 2000 hours /year gives a saving of 10.000,00 € / year.